A National Level Technical Symposium is going to arranged on 28th September and 29th September 2018 at Sant Gajanan Maharaj Rural Polytechnic Mahagaon. Take a close look at all the evnets along with their details and scheduled date and we are honestly appeal to students and affilaliated faculties to make maximum particiapation in such events. 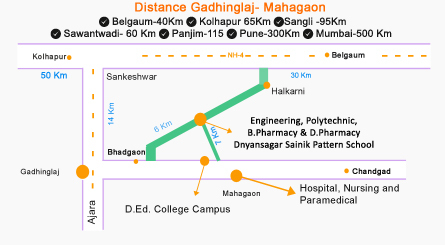 Sant Gajanan Maharaj Rural Polytechnic Mahagaon.